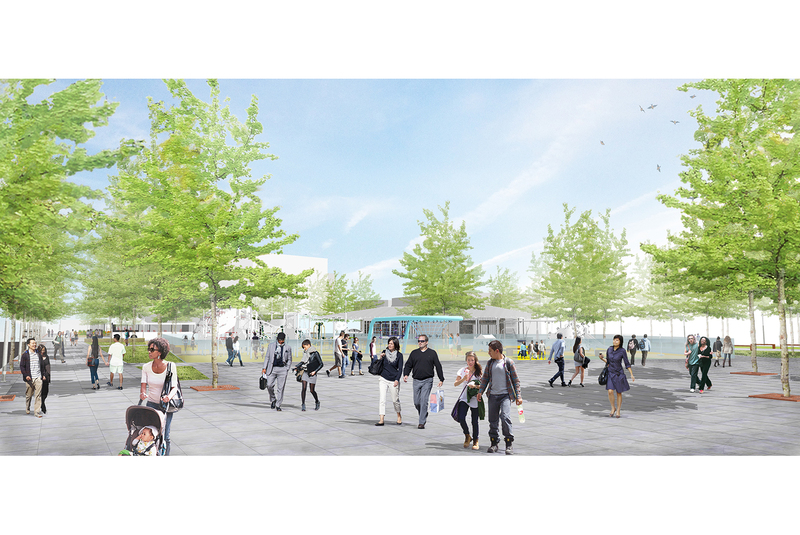 Having developed the concept design for the Lake Merritt Plaza, RHAA continued their work by focusing on a new vision plan for Madison Square Park. 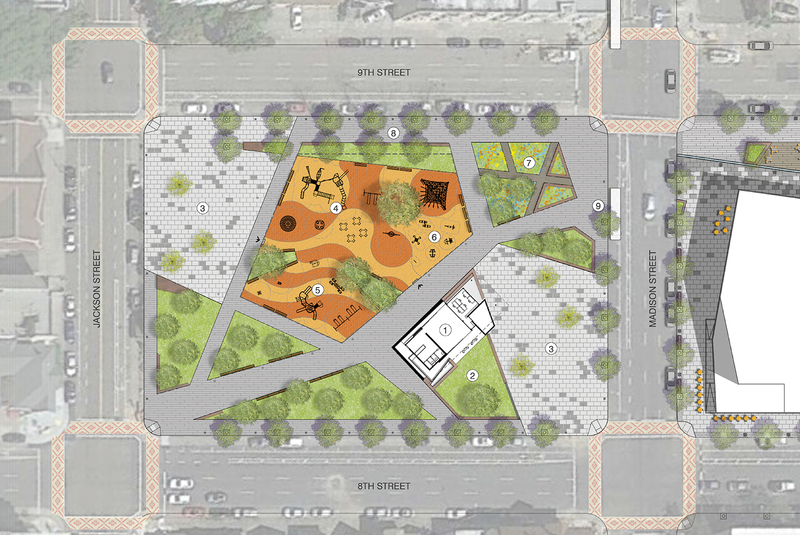 This Park is adjacent to the Plaza, and the local community saw this as an opportunity to strengthen the urban design expression and language from the BART Plaza by bringing this into the Park and creating a cohesive community core. 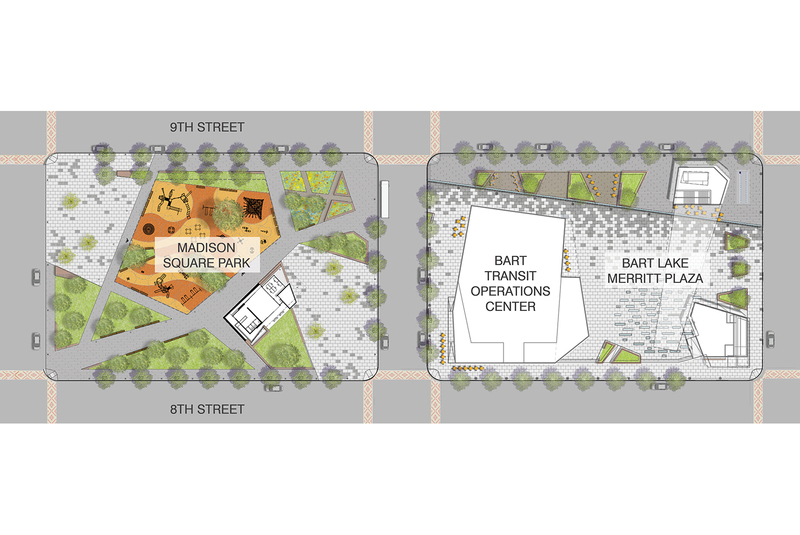 This along with the BART TOD project establishes a 3 block community open space with multiple uses that will benefit the City, BART and the community. 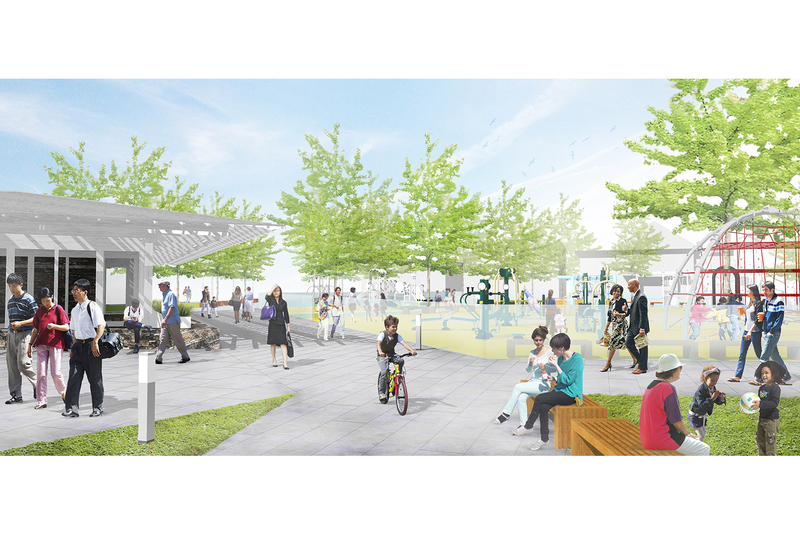 The Park serves as a critical open space anchor to this. 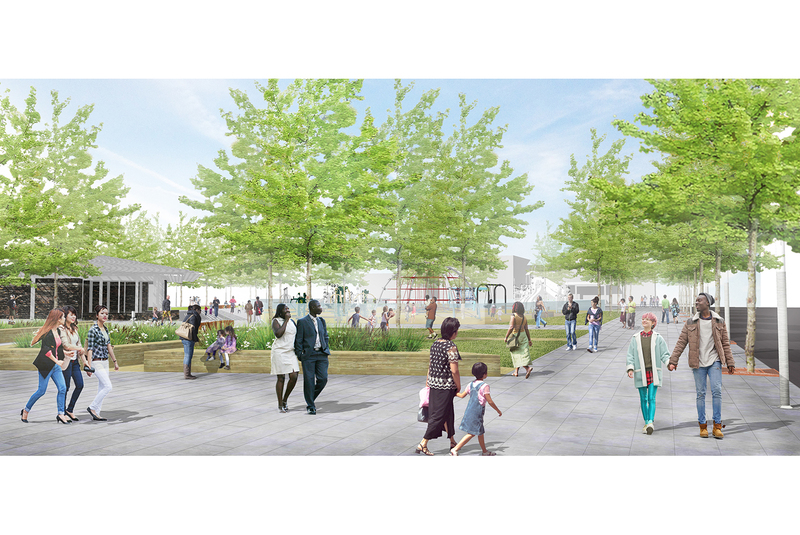 In addition to overhauling an outdated Park space, RHAA designed the Park to continue the strong pedestrian streetscape on 9th street and created a wide paseo that cuts diagonally through the Park. A small part of the Park is also set over BART underground tunnels.